The common link between liquid-crystal TVs and the birth of the universe, when you look at the big picture, is that they are both characterized by the intriguing phenomenon in which matter abruptly changes states. Scientists want to better understand and control the behavior of particles at the exact moment that these so-called phase transitions—a change in energy in a system, much like process in which water evaporates or turns to ice—occur. 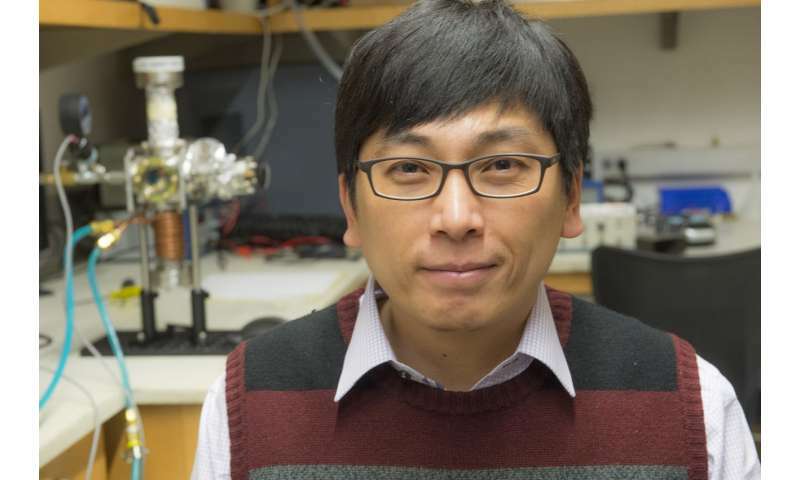 A study published Dec. 18 in Nature Physics by University of Chicago scientists observed how particles behave as the change takes place in minute detail. In addition to shedding light on the fundamental rules that govern the universe, understanding such transitions could help design more useful technologies. One of the questions was whether, as particles prepare to transition between quantum states, they can act as one coherent group that "knows" the states of the others, or whether different particles only act independently of one another, or incoherently. 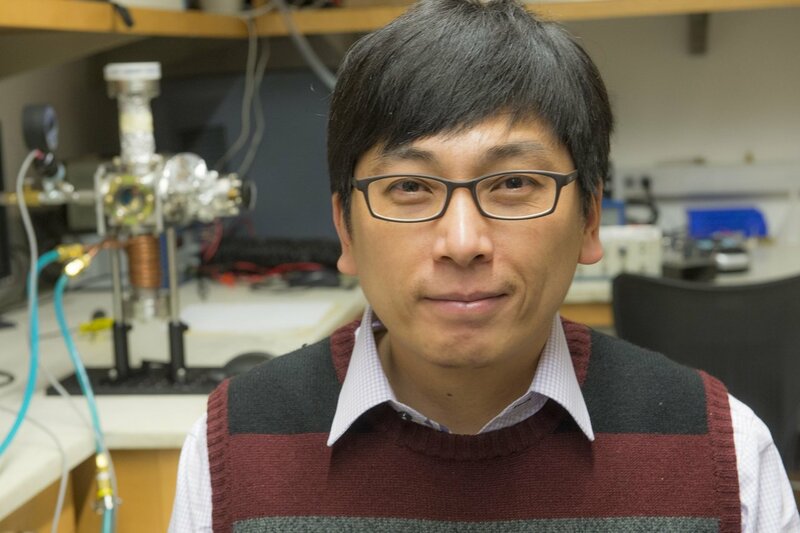 Cheng Chin, professor in the Department of Physics, and his team looked at an experimental setup of tens of thousands of atoms cooled down to near absolute zero. As the system crossed a quantum phase transition, they measured its behavior with an extremely sensitive imaging system. The conventional wisdom was that the atoms should evolve incoherently after the transition—a hallmark of older "classic" rather than quantum models of physics. "In contrast, we found strong evidence for coherent dynamics," said graduate student Lei Feng, the first author on the study. "In no moment do they become classical particles; they always behave as waves that evolve in synchrony with each other, which should give theorists a new ingredient to include in how they model such systems that are out of equilibrium." This question gets at the fundamental rules that govern the way that matter interacts in our universe—but as always, it also has practical considerations. For example, engineers trying to build quantum computers are very interested in retaining the coherence of a group of interacting quantum bits, because they need to keep their system coherent in order to build faster computers. Cosmologists are interested in the physics of such transitions because they describe the earliest moments of the universe as it rapidly expanded and changed. "Our observation sends us beyond the conventional picture of such transitions that scientists took for granted," Chin said.